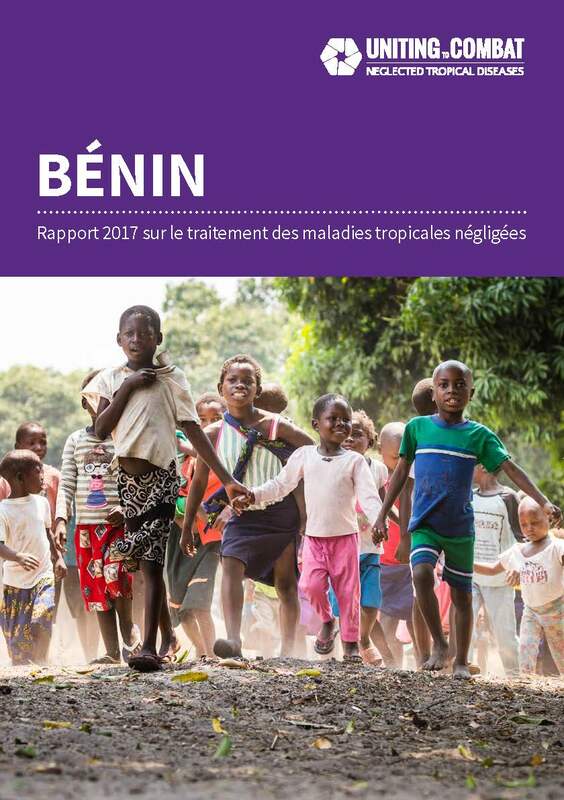 This country profile provides an overview of Benin’s progress in reaching those in need of mass NTD treatment based on 2017 data. Benin is commended for maintaining consistently high coverage for elephantiasis, river blindness and bilharzia, whilst making good progress on blinding trachoma. Further attention is needed for the deworming of pre-school age children. Treatment coverage increased from 56% in 2016 to 82% in 2017. Treatment coverage increased from 37% in 2016 to 97% in 2017. Treatment coverage decreased from 96% in 2016 to 62% in 2017. Treatment coverage increased from 59% in 2016 to 74% in 2017. Treatment coverage increased from 57% in 2016 to 74% in 2017. The ESPEN portal (a World Health Organization AFRO region project) provides maps and district-level data for the preventive chemotherapy diseases in Benin.